Hays, Kansas (June 30, 2016) – HaysMed recently purchased the former NEW Building on Commerce Parkway from the Heart of American Development Corporation. The 42,873 square foot building was built in 1996 and was most recently used by Ellis county during the renovations of the courthouse. The original facility housed the Sykes call center. The HaysMed Business Center will house several departments of the hospital that have been located in separate locations off the main campus. The departments moving to the Commerce Parkway location include: Accounting, Central Billing Office (CBO), Centralized Outpatient Scheduling (COPS), Patient Accounts, Patient Financial Services, Customer Service Teams and Health Information Management (HIM). There will be approximately 75 HaysMed Associates relocated to the new space. HaysMed has begun making minor cosmetic changes to the building, cleaning the grounds and erecting new signage. HAYS, Kansas (June 27, 2016)— HaysMed’s Rock Garden Café is participating in the James Beard Blended Burger Project. John Fitzthum, Executive Chef/Food Service Director at HaysMed has created the Blue Hill Blended Burger to enter into the competition. The Blended Burger Project encourages chefs to create a healthier, more sustainable, and tastier burger that can be enjoyed by consumers across the country, while also educating diners about the many benefits of The Blend and the future of food. The competition was designed to create awareness that infusing a burger with a perceived more sustainable product (mushroom) not only can reduce the calories and fat, create unique flavor profiles and create sustainability. Chefs from across the country submit their entries and the public are encouraged to vote. For the past several years, chefs have faced increasing pressure to serve healthier and more sustainable meals that reduce calories and sodium and still taste delicious. Simultaneously achieving nutrition, sustainability, and flavor is a core value of America’s food system. Fitzthum’s creation, the Blue Hill Blended Burger, is a blend of Kansas grass-fed beef, mushrooms, garlic, onion and French Roquefort cheese. 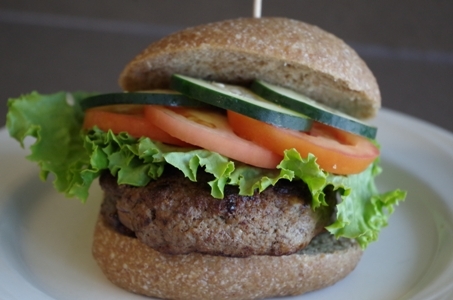 The burger is served on fresh whole wheat focaccia and topped with lettuce, tomato and cucumber. The burger has 450 calories and 668 mg of sodium. The burger name ties to a prominent grassland area in Kansas and the French Roquefort cheese is fun play on a reference to Kansas role in saving the French wine industry. The burgers are featured at https://www.jamesbeard.org/blendedburgerproject/voteand the public can vote now through July 31. You can place a vote every day by going to the site and typing in HaysMed in the Search Entries box and double clicking on the burger photo. Fitzthum is offering the opportunity to taste Blue Hill Blended Burger at the Rock Garden Cafe on June 28th ~ 30th and again July 12th ~ 14th, July 19th ~ 21st and July 26th ~ 28th. 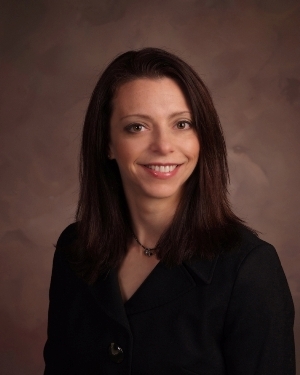 HAYS, Kan. (June 23, 2016) Amy Choitz, RN, BSN, CCRP and Macy Linn, MS, CCRP recently earned certification from the American Association of Cardiovascular and Pulmonary Rehabilitation (AACVPR). assessment, nutrition management, weight management, blood pressure management, blood lipid management, diabetes management, tobacco cessation, psychosocial management, physical activity counseling and exercise training. 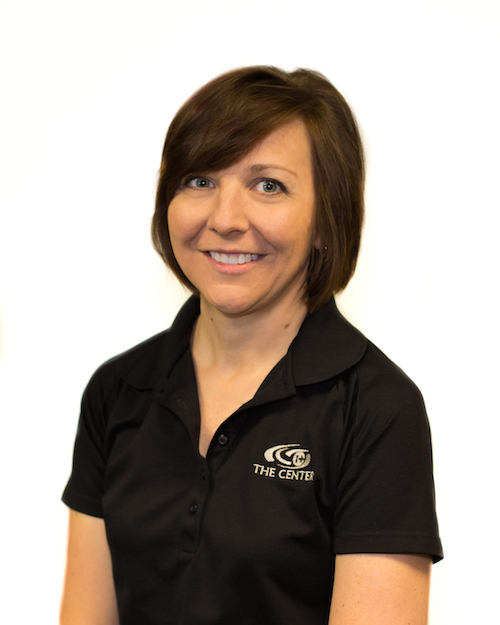 Choitz is the Cardiopulmonary Rehabilitation Clinical Coordinator at HaysMed and has been at HaysMed for 22 years. 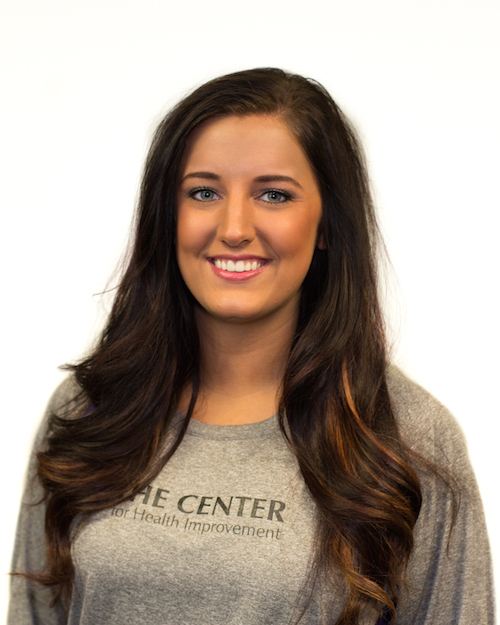 Linn is an Exercise Physiologist and has been with HaysMed for 3 years. 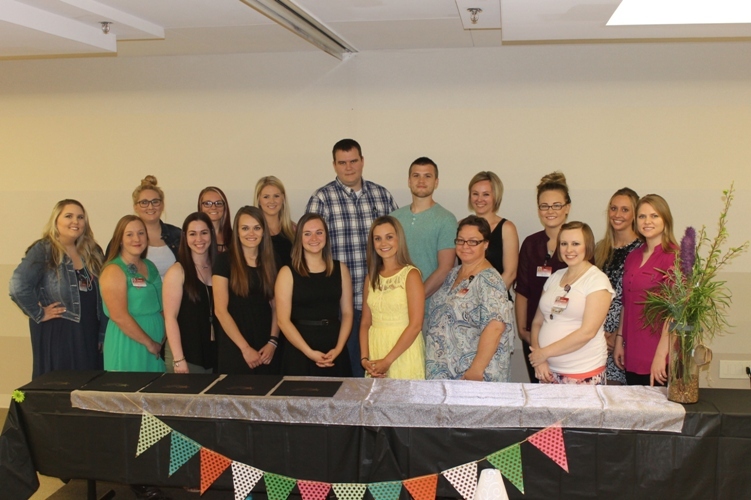 HAYS, Kansas (June 22, 2016)— Eighteen registered nurses at HaysMed were honored recently at a recognition ceremony and luncheon. They completed the year long RN Residency Program offered at HaysMed. The program began a year ago in July and the nurses spent the first 3 weeks in a classroom setting. The remainder of training focuses on clinical experience, one on one mentorship with their preceptor, high-fidelity simulations and on the job training. Additionally, nurses receive training from professionals in several departments, such as radiology, pharmacy, cardiac care, OB and others. The RN Residency class included Jennifer Anderson, RN, Cassandra Armbruster, RN, Calie Borthwick, RN, Eric Bose, RN, Sheylynn Eickhoff, RN, Whitney Hoban, RN, Leah Houston, RN, Emily LaBarge, RN, Elizabeth McElroy, RN, Christy Moeder, RN, Cole Reichert, RN, Gage Reichert, RN, Desirea Renz, RN, Gwen Sillmon, RN, Hali Sprenkel, RN, Amber Thompson, RN, Christina Thomsen, RN and Annie VonFeldt, RN. Currently there are 11 nurses scheduled in the next program which begins in July. The program is open to newly graduated RNs. If you haven’t visited Hays Medical Center in a while, you might be surprised by some of the changes you see—and taste. The newly remodeled hospital dining area, now called the Rock Garden Café, is the face of a much broader set of healthy initiatives HaysMed has championed in recent months. The 207-bed community hospital – one of the largest employers in Hays – has made significant changes to its food and beverage policy to promote healthy choices among staff, patients and guests. Hospital administrators, physicians and associates are taking the message out to the wider community as well. That was the driving force behind the hospital’s pledge in 2014 to participate in Healthy Kansas Hospitals, which is a project of the Kansas Hospital Education and Research Foundation. The program’s goal is to help hospitals provide healthier food and beverage options throughout the facility for hospital employees, patients and visitors. Within two months of signing the pledge, the hospital formed a Healthy Hospital Committee comprised of diet, fitness, and wellness experts working alongside marketing and associate development personnel. Collectively, the Committee keeps new ideas coming to fruition, maintains momentum for overall sustainability, and works to engage others in both the journey and the goal. John Fitzthum joined the team as Executive Chef/Food Service Director to oversee the hospital’s dietary department. Fitzthum says he recognized something extraordinary about what HaysMed wanted to achieve as a Healthy Kansas Hospital, and he was eager to come on board to help lead the way to better health. Renovations for Rock Garden Café were completed in March. The updated eating area no longer serves fried foods, which have been replaced with more nutritious menu items like homemade hummus, baklava and grilled salmon. The hospital now dedicates a larger portion of its food budget to fresh fruits and vegetables, and more than two-thirds of all beverages served in the hospital have no added sugars. Very few starchy food options are still available, and café pricing and placement strategies make the few remaining unhealthy options more “out of reach” than before. Through the Café’s “Ingredient of the Month” program, they are teaching different ways to prepare healthy foods that satisfy even the choosiest of palates. Recipes involving each ingredient of the month also are published in the local newspaper to expand reach beyond the hospital walls. Aside from offering healthier items, the hospital also has found fun ways to get people up and moving throughout the day. They added two indoor walking trails for associates and visitors, and they host four 15-minute workout classes every week for hospital associates. They also offer free cooking classes, open to the community as well as hospital staff. “It’s about being a leader in health care, and that means taking care of not only our patients and their families, but also the 1,200 associates that work at the hospital every day,” says Howie, whose team also works to educate associates about the benefits of the improvements made with regard to healthy food options and opportunities for exercise. Outside the hospital, HaysMed has taken an innovative and integrated approach to environmental health as well, reducing waste and increasing the vitality of the environment, purchasing a new dishwasher to save 350 gallons of water per week, as well as adding a cardboard and aluminum/plastic recycling program. They replaced most of the fescue grass on campus with native grasses and plants that require far less water for upkeep, and the hospital partners with several members of the community—including WorkWell Kansas, the local school district, and others—to create new opportunities to improve public health. HaysMed has made exceptional strides both inside and outside the hospital. For its outstanding achievements and innovation, HaysMed has been selected by KHERF as one of two 2016 recipients of the Healthy Kansas Hospitals Centers of Excellence Award. The hospital will receive the award and a monetary contribution to support its continued efforts at a special award ceremony on June 22. Hays, Kansas (June 13, 2016) – The Hays Orthopedic Institute will sponsor Let’s Talk on Thursday, July 21, 2016 at the HaysMed Center for Health Improvement (CHI) Education Room, 2500 Canterbury Drive, Hays Kansas. Participants are asked to use Entrance F – South Entrance to CHI. 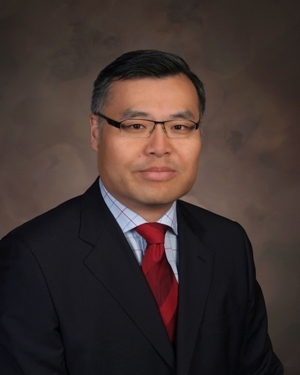 The program will feature a question and answer discussion with Dr. Sukchan Lee, Orthopedic Surgeon and Amy E. Glover, Physician Assistant, both from the Hays Orthopedic Institute. Topic for the discussion is “Direct Anterior Approach to Total Hip Replacement Demystified – Evolution or Revolution, Gimmick or Substance?” HaysMed is now offering this new procedure designed to reduce the recovery time and shorten the hospital stay after hip replacement. The program begins at 6:00 pm with registration and healthy snacks followed by the discussion from 6:15 pm – 7:00 pm. The program is designed for those who have orthopedic needs and the people who care about them. Or call 623-5500 by July 18. HAYS, Kansas (June 13, 2016)— HaysMed Pulmonology Associates is sponsoring a free educational class on Asthma and Allergies on Tuesday, July 12 at the HaysMed Center for Health Improvement Education Room, 2500 Canterbury Drive, Hays, Kansas. Participants are asked to use the South Entrance and park in Parking Lot F. The program will feature a presentation and roundtable discussion by Roman Reznik, MD, Pulmonologist, Lesa Klozenbucher, APRN and Chris Fisher, RN, RRT. This program is designed for those who have questions about allergies and asthma including treatments and medication. Please RSVP by July 8 to www.haysmed.com/education or call 785-261-7452. Registration is required.